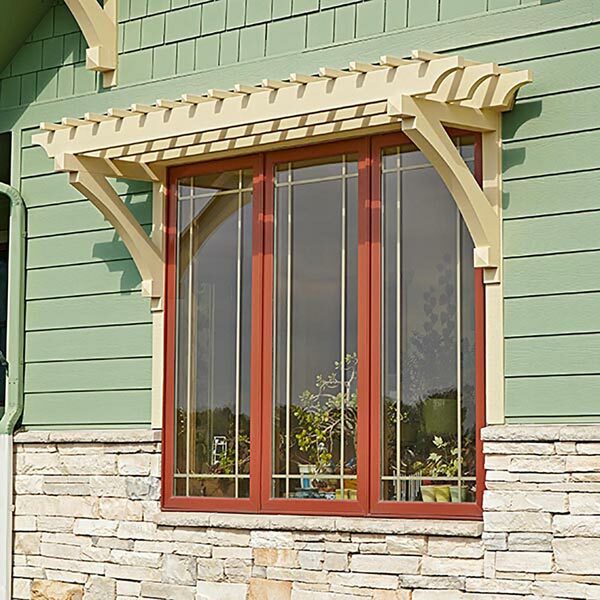 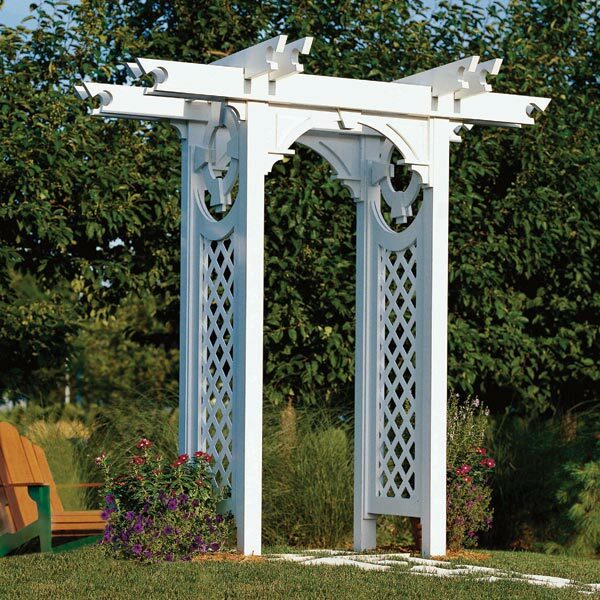 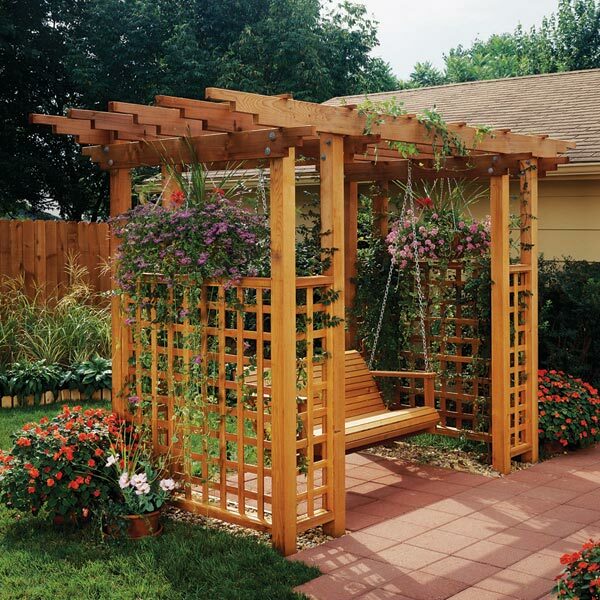 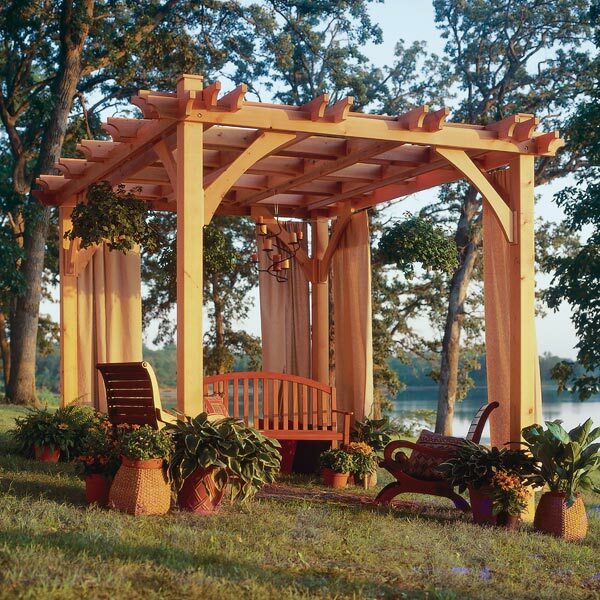 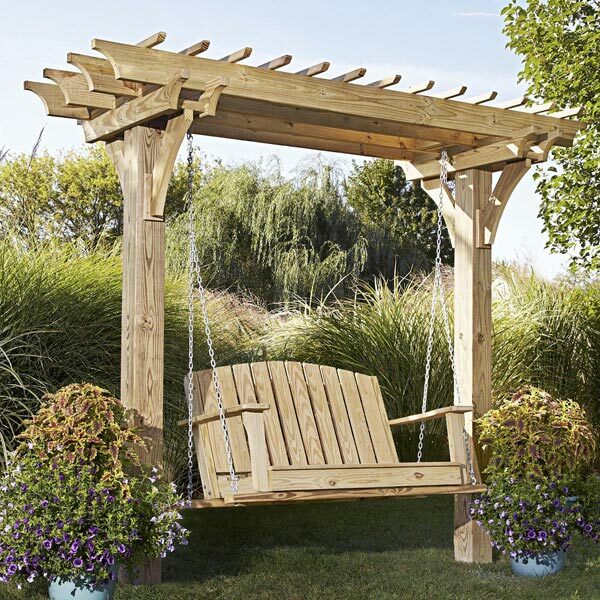 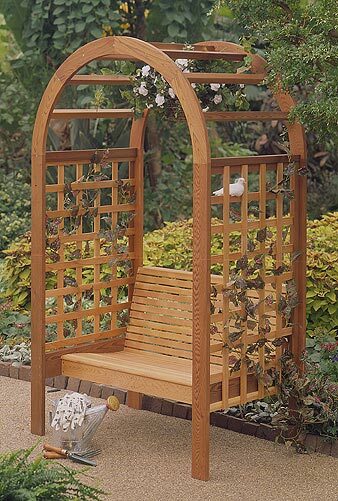 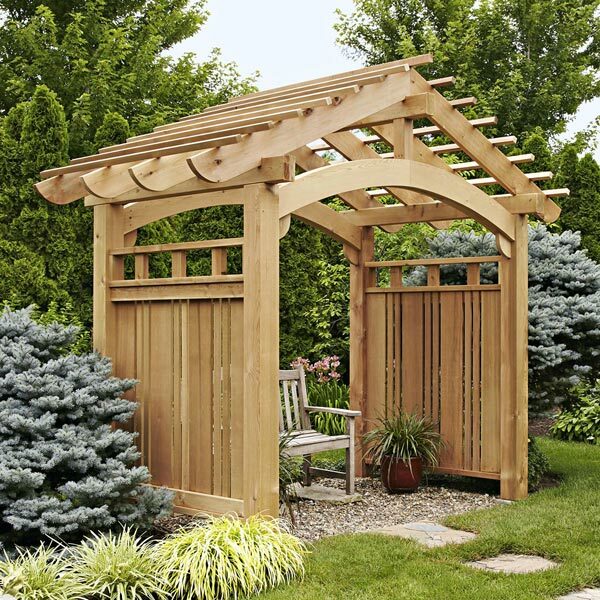 Hang a hammock between the posts of this versatile pergola for extreme lazy-day relaxing. 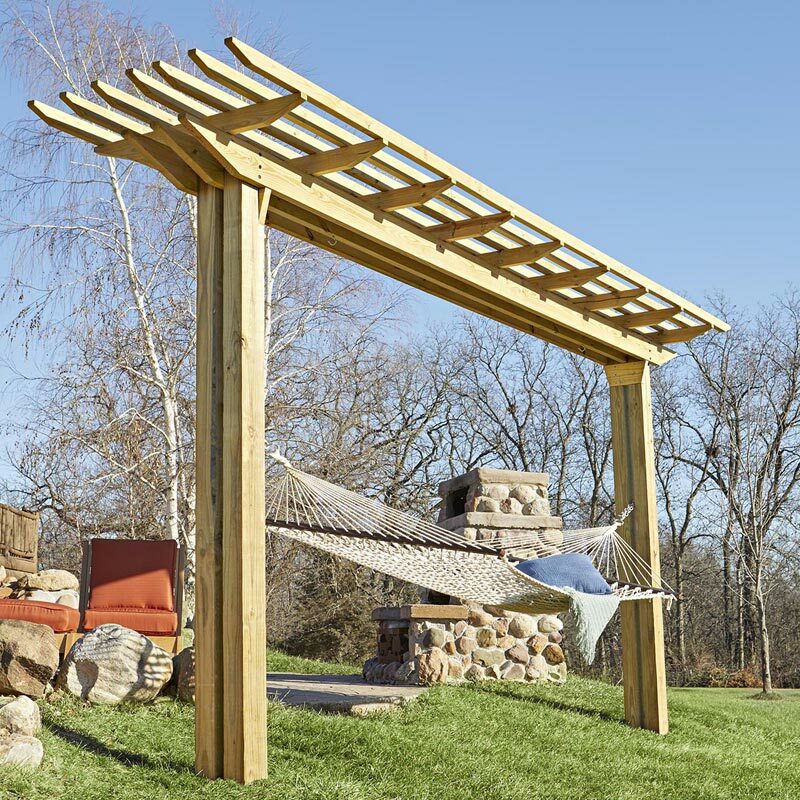 And when it's time for action (the big-screen kind, anyway), you can quickly and easily swap the hammock for a projection screen. 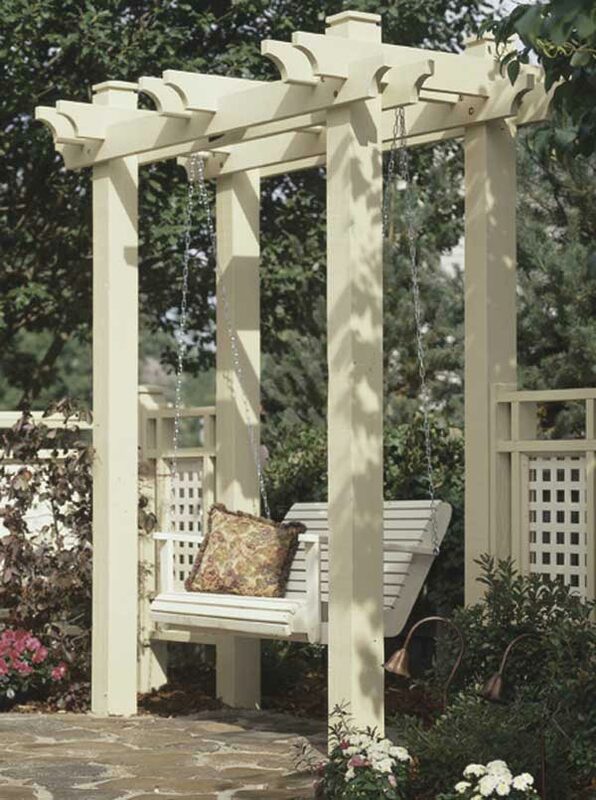 Then, pull up some patio lounge chairs for an open-air show.